Now that's a Full Rack!! This past weekend we had a group that really nailed it! See the above shot? That is a full rack of fishing! 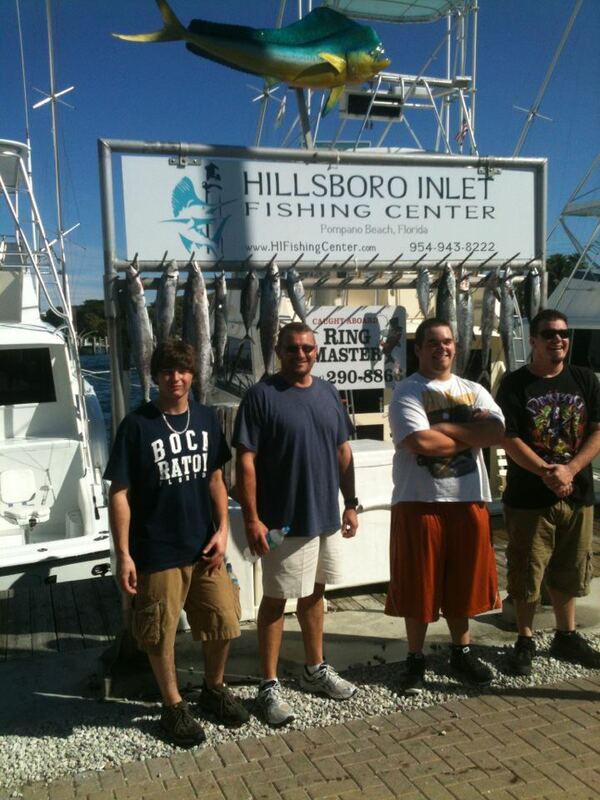 This group caught Wahoo, Dolphin and Tuna and caught lots! The weather has been beautiful and we know you are making Spring Break plans. Come on down and try to match this weekend's catch! Charters are $99/person with a minimum of 5 people. Book soon because spots are filling up! Dolphins and Wahoos are Hitting Hard! Last week we had some incredible fishing over here at the Hillsboro Inlet. The Dolphin and Wahoo are both plentiful as you can see from our recent charters! 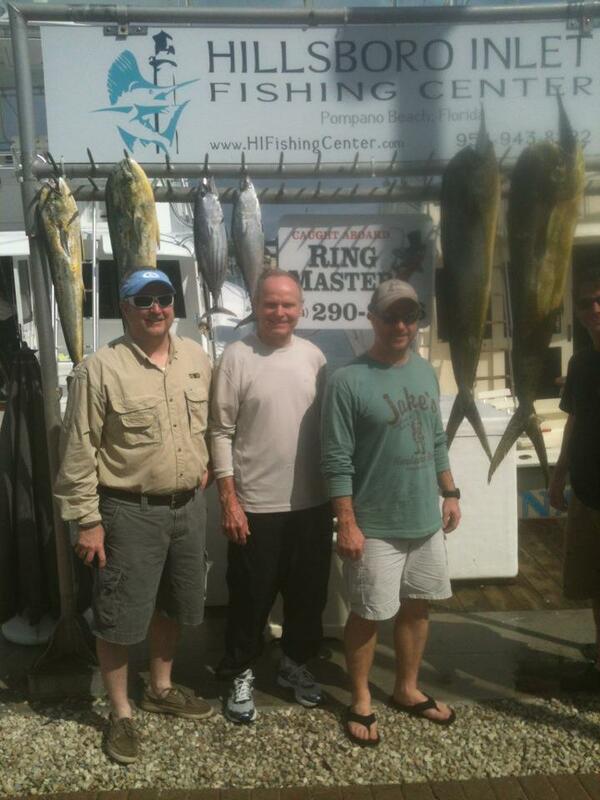 You ready for some intense Sport Fishing? Come on down! Trolling is one of the most productive and my favorite method of catching dolphin. My tackle choice is a 20# - 30# lever drag reel, a matched 5-1/2’ – 6’ stand-up rod and 20# – 30# mono line. I like to troll natural baits such as ballyhoo rigged on #7 or #8 coffee colored stainless steel wire. One end of the wire will have a haywire twist to attach to the fishing line via snap swivel and the other end will have 7/0 or 8/0 hook attached using a haywire twist and pin rig. The ballyhoo may be trolled naked or with a skirt or skirted lure over its head. Trolling speed is a matter of how the baits look in the water. I have found that trolling 6 to 8 knots is best. In heavier seas travel down seas so the baits stay in the water better. They can also be readily caught on artificial lures, feathers, spoons, etc. Once a school dolphin is hooked and brought to the boat, leave it in the water. The rest of the school will usually follow and stay nearby. Chum with cut bait or glass minnows will bring them in close and put them in a frenzy, For a wild and exciting experience start casting your spinning rods/fly rods with yellow or white bucktail jigs/flys . Usually they will hit so fast you just have time to set the hook as it hits the water. Wow!! Check back with us next week as we post some of our favorite Mahi Mahi and Wahoo recipes! Our New Year's resolution...a new sign! What do you think? 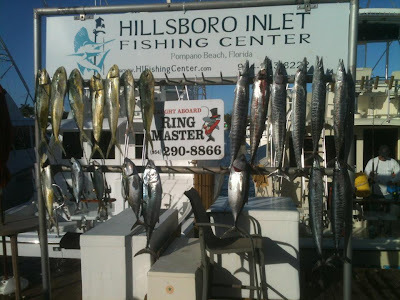 Last year was a fantastic year for us with our fishing charters coming back to the Inlet with wahoo, dolphin and even a shark! 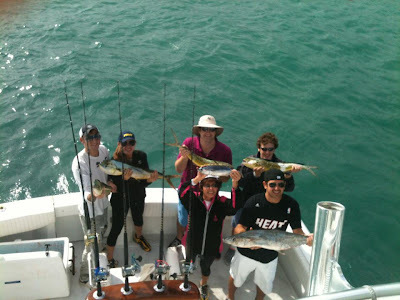 Let's hope 2012 brings in all the great catches last year did with new and exciting saltwater adventures to be had. I'm thinking maybe the day's catch is a good omen. What do you guys think? "If you fish by an inlet, fish in the outgoing water which brings the bait out to sea. This will hold the best action for strikes. Just let the outgoing water carry your bait out in a natural way." 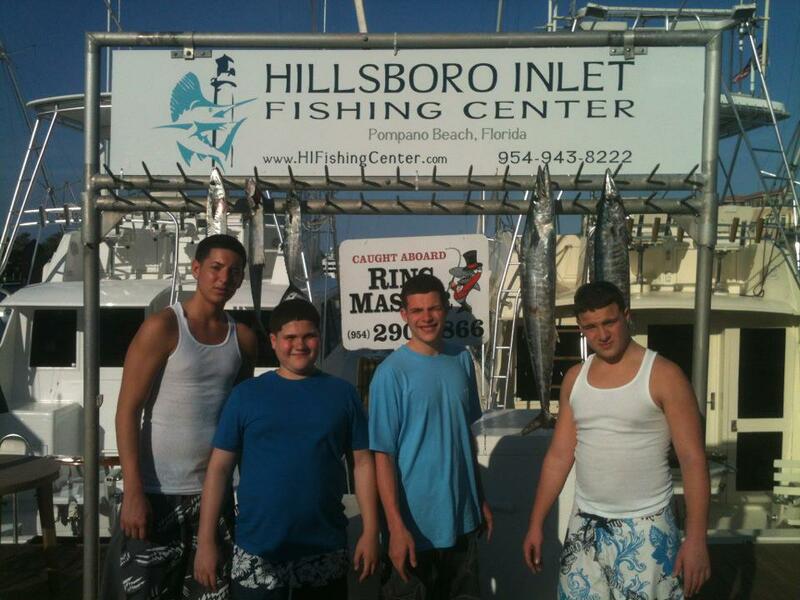 Happy New Year to you all from Hillsboro Inlet Fishing Center. 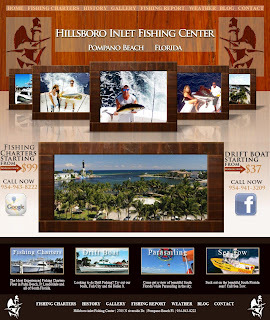 We are excited to announce that Hillsboro Inlet Fishing Center has a new website! 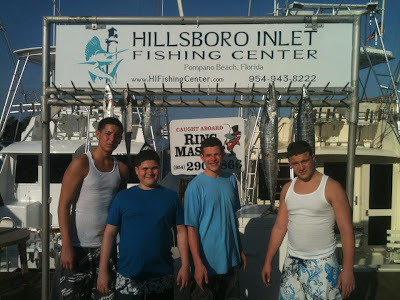 You can use our new site to check out our fishing charters and drift boats as well as view fishing reports and see pictures of great catches. We will have a photo contest starting in 2012 with the opportunity to have your pic on our new T-shirts! Please come back to our blog to check out the latest news and possible contests!